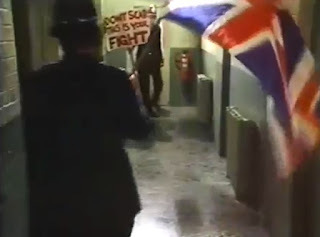 "An ideology red white and blue in tooth and claw"
I'm returning here to delightedly announce that I have a three-part epic essay about David Edgar's 1978 Play for Today, 'Destiny', currently being published on British Television Drama website. 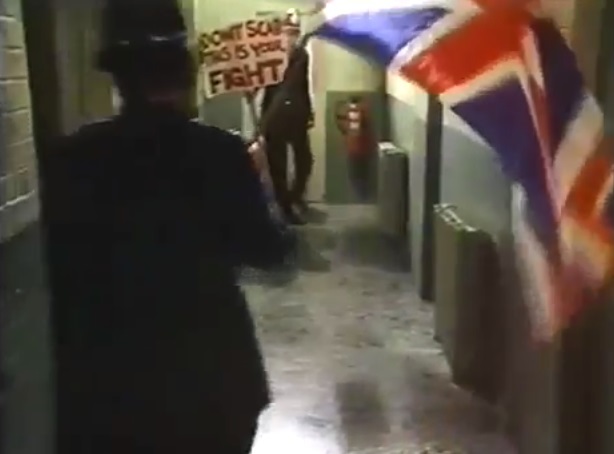 This is a significant play (currently viewable here) that dramatises the insurgent far-right and British national identity in the late 1970s. I have been researching this TV play for eight months and have included e-mail interviews with the writer and producer, as well as extensive use of the BBC WAC in Caversham (thanks to Matthew Chipping). Thanks go to David Edgar and Margaret Matheson for their detailed e-mails with their memories of the play and conscientious answers to my questions. Thanks also to David Rolinson for his tireless work in editing this juggernaut of a piece (originally 20,000 plus words! ), as well as Mark Sinker*, Justin Lewis**, Ian Greaves and John Williams who have assisted with queries and research. *Who knows much more about English Baroque music than I. **Who knows much more about UK chart history than I.